Want to invest more in how you pray? 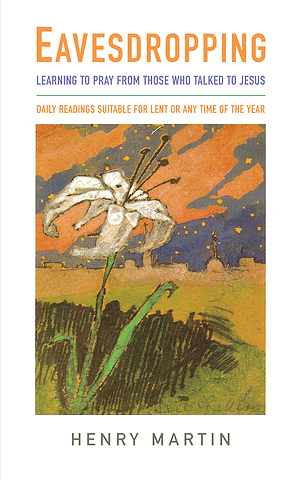 This book of daily readings offers a wonderfully fresh way of deepening the way that we talk to God. Alongside author Henry Martin, we 'eavesdrop', or 'listen in', on 49 instances of people who actually spoke to Jesus in the Bible, and ask what we can learn from what they said and how he responded. Sometimes his answers brought delight to those who asked him, and sometimes his response was not what they expected or hoped for. In the final section of the book, the conversations listened to took place during Jesus' final days and bring us closer to him during Holy Week. Eavesdropping can be read in daily sittings at any time of year, and is particularly suitable for Lent. Eavesdropping by Henry Martin was published by Darton, Longman & Todd Ltd in January 2019 and is our 1344th best seller. The ISBN for Eavesdropping is 9780232533897. Be the first to review Eavesdropping! Got a question? No problem! Just click here to ask us about Eavesdropping.